2018 Making Strides Against Breast Cancer in Season is Here! Welcome! 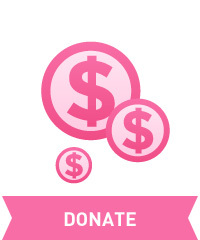 We are happy to announce that the 2018 Making Strides Against Breast Cancer in Second Life season is here! Our official season will run October 1-31, 2018, but the new kiosks and vendors are available now at the Making Strides office located on the American Cancer Society region. This year we are celebrating our 10th year of Making Strides Against Breast Cancer in Second Life and to mark this milestone we will be introducing some exciting new events as well as bringing back some old favorites! 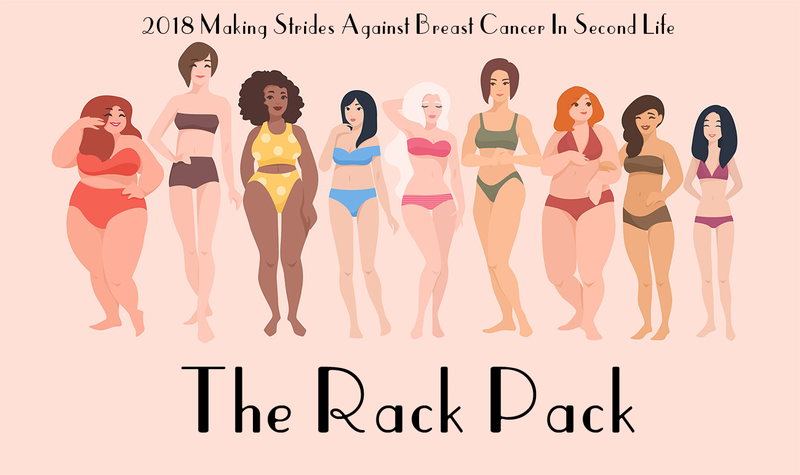 The theme winner for the 2018 season is “The Rack Pack”. Bodies come in all shapes and sizes in both Second Life and Real Life so we want to highlight them all! There are many ways you can go with this theme- and guys you are included too! Breast cancer is not gender specific to just females! For the theme it can be old Hollywood to current styles, whatever gets your creative juices flowing. Looking forward to painting the grid PINK with Blue this season with all of you! This entry was posted in american cancer society, making strides, media release, second life and tagged #acs, #American Cancer Society, #breast cancer awareness, #cancer, #TEAMMSABCofSecondLife, 10th Anniversary MSABC in SL, ACS, american cancer society, awareness, breast cancer awareness month, caregivers, Making Strides Against Breast Cancer, making strides against breast cancer across second life, mission, MSABC, survivors, The Rack Pack on June 15, 2018 by sandieloxingly.